Well, it sees I was too fast to assume there may be hope for reconciliation in the Gulf Island. In one of the various demonstrations that were held within the framework of the second anniversary of the 14th February revolution, one teenager was killed by the security forces, and violence is escalating to dangerous levels, despite the condolences offered by the Government, and many activist denounce the use of excessive force, torture, kidnappings and extrajudicial imprisonments. Most opposition figures are accusing the Government of setting up the dialogue for failure, whilst keeping on with the daily repression. 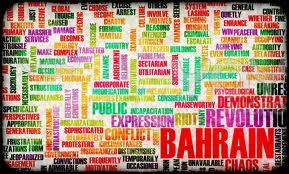 Bahrain holds the rare honor of being the country where the longest Arab Spring-related uprising is still taking place. Almost none of the authorities’ concessions have in reality met the protesters’ demands for democracy and freedom, above all the Shiite minority’s calls for the granting of further rights eventually leading to equality and justice amongst the entire population. Regarde ça, c'est un bon article sur le cas du Bahreïn dans les printemps arabes : http://www.monde-diplomatique.fr/2013/02/PELLAS/48721.